1155 North Main Street Suite 8 Layton Utah 84041 Gift Cards Available! 1155 North Main Street Suite 8 Layton Utah 84041 1-801-497-9700 Gift Cards Available! Have you participated in the Bumper Sticker Kicker promotion yet? This is an easy and fun way to support Lucky Bamboo Tattoo and benefit from your participation. All you need to do is take one of our bumper stickers and put it on your car. 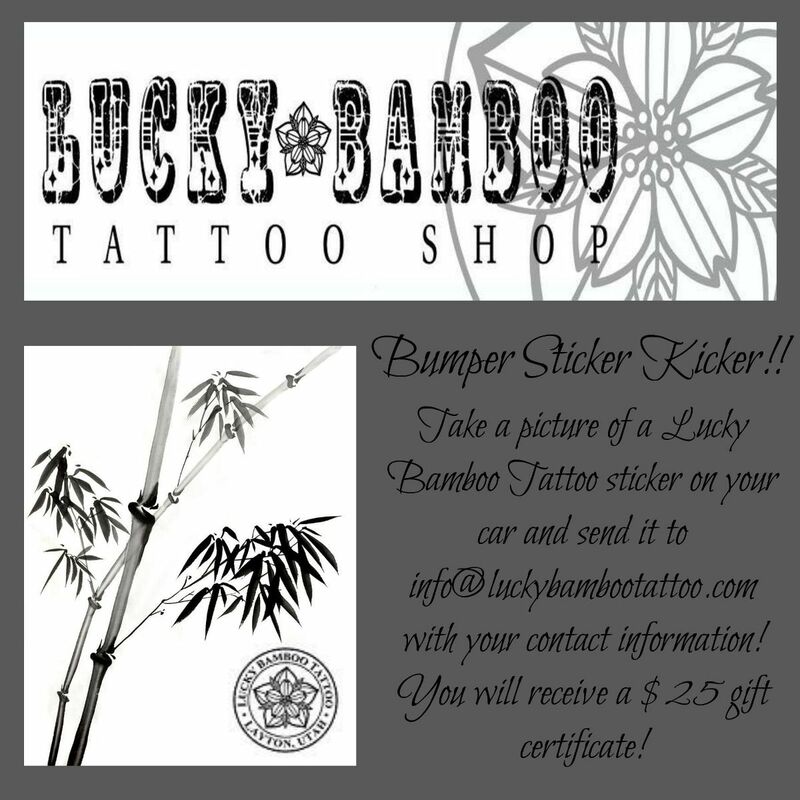 Take a picture of your car with the sticker and send it to info@luckybambootattoo.com. Don't forget to also send in your contact info so we can mail a $25 gift certificate to you! Thanks to all of our amazing clients and for all you do to help make Lucky Bamboo Tattoo Studio amazing and successful! We appreciate each and every one of you! !